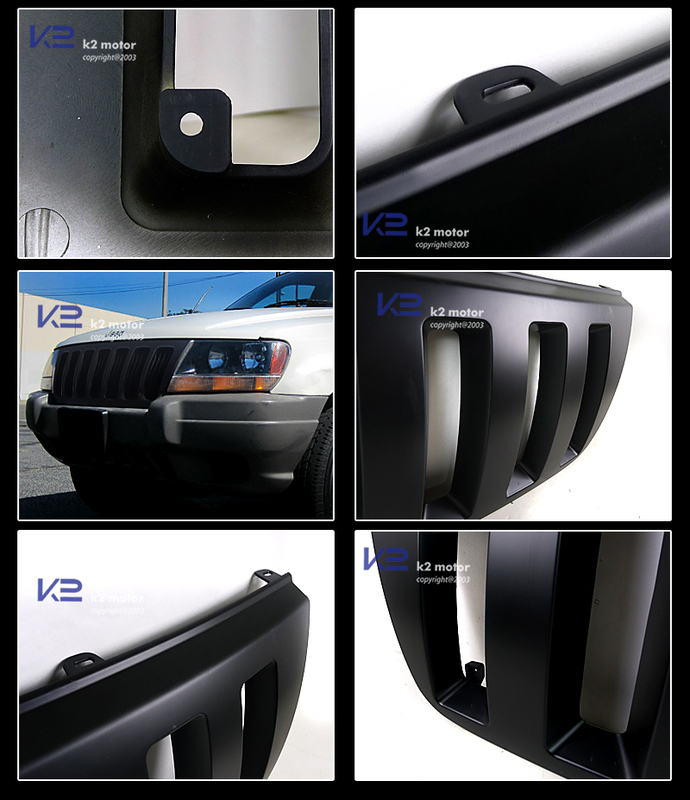 We offer variety of 1999-2004 Jeep Grand Cherokee Black Vertical Front Grille for you to choose from so you can find the perfect one for your ride. A Brand New 1999-2004 Jeep Grand Cherokee Black Vertical Front Grille. Made of high quality A.B.S. Plastic, and feature flat black finish. 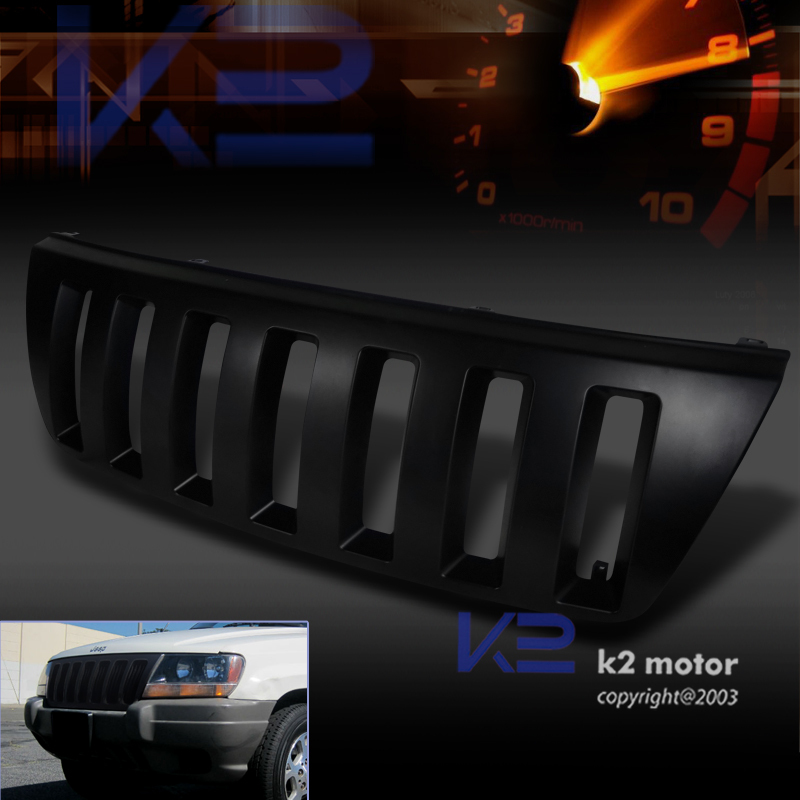 You'll be surprised by the bold & aggressive look of your car provided by this grille. When it comes to manufacturing quality product, K2motor ensure precise fitment & quality design, while providing low-price to our customers. The grille is securely mounted by the original screws & nuts of the OEM grille, no wire ties are used. If you are unsure about installing automotive accessories by yourself we recommend consulting a body shop or restyle.